The quiet location of Annitas Village Hotel allows guests to indulge in a peaceful and relaxing holiday. Each of the spacious rooms is well-equipped with modern kitchen amenities. Guests can enjoy the lovely view of the surrounding area from their private balcony. There is a beautiful outdoor swimming area, where guests can go for a refreshing dip or relax on a comfortable sun lounger, in the shade of tropical plants. 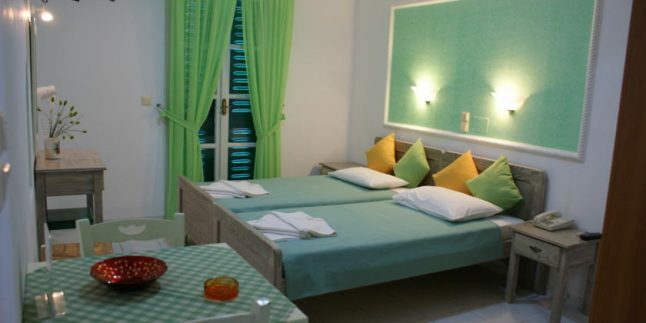 Annitas Village is just steps from the peaceful sandy beach of Agia Anna. There are plenty of local amenities within walking distance of the hotel for the convenience of visitors. There is also a regular bus service to the lively beaches of Agios Prokopios and Plaka, as well as regular access to Naxos Town.